A brief summary of "HCN HolzConsulting GmbH"
HCN HolzConsulting GmbH (HCN) provides you with assistance pertaining to national and international timber, forestry, plywood and furniture industries. HCN consults both regionally active, small and medium businesses as well as larger and international companies, public institutions, and organizations. The "HCN-Team" consists of highly qualified and experienced specialists in the fields of "timber, forestry, forest, IT, and business management". Thanks to the many years of experience of our consultants, we can provide you with the security that HCN understands the mindset of the wood and furniture industry down to the smallest detail. HCN is therefore a competent partner for a successful and trustful cooperation throughout the value chain. The core business of "HCN HolzHeadHunter" consists of professional assistance with the national and international search and subsequent selection and integration of suitable candidates in order to fill technical and executive vacant positions in the timber, forestry, and furniture industry. HCN has sustainable skills and contacts developed over many years, especially relating to the recruitment of "timber and furniture" professionals. Based on this background, HCN makes it possible for you to fill your vacant positions as quickly as possible and with the best person for the job. 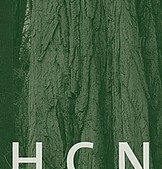 "We unite forest and business"
HCN was able to develop steadily and with strategic consistency in the desired, positive direction, not least due to your trust and support over the past 15 years. The customer base of our consulting firm today includes leading and reputable mid-sized companies as well as global companies active nationally and internationally. We would like to take this opportunity to thank heartily all who have contributed to the success of HCN. Join us for the next 15 years as well. HCN is here for you today and in the future! The services of HCN are exclusive of law and tax consulting.